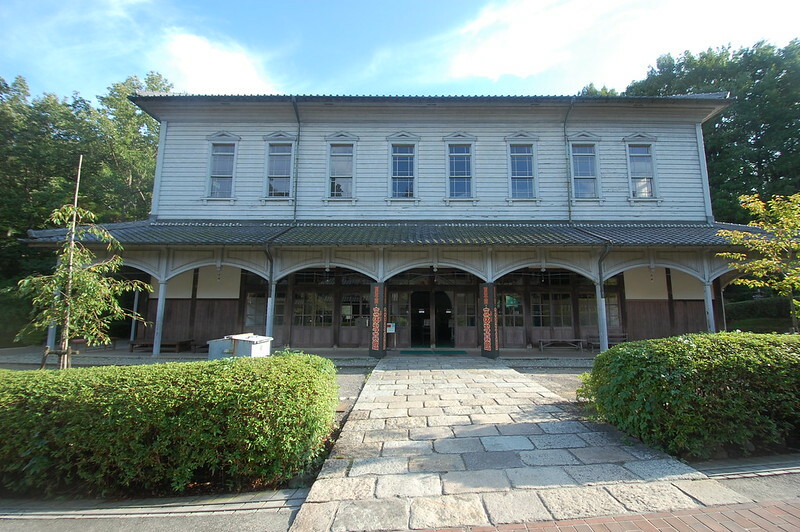 The Museum has 60 or so buildings moved from all over Japan. The buildings are placed on a wonderful lot lakeside near Nagoya, creating a large park. The park has ample wooded areas and great views. The buildings are also filled with quirky little exhibits like this one. I discovered the museum because of an article that had Frank Lloyd Wright’s Imperial hotel, or at least the center portion, as part of a trip on Japanese Railroads by the TV show “Tracks Ahead.” Once I saw that I knew that I had to visit because my dad had been a Frank Lloyd Wright fan for most of his life. So I took the train to Nagoya and the train and bus to the museum. Here’s the museum website. Some images I took while I was there. I’ve started a Pinterest board here. My flikr album of my visit in 2009. The little train and steam locomotives. Visiting Meiji Mura was a fun and relaxing part of my Japan trip. It’s a good day trip from Tokyo and when I was there, was not very crowded. It’s a large enough park that it would take huge crowds to overwhelm it and it’s not the kind of place that will attract those kinds of crowds. If you like old machinery, quirky exhibits, architecture or history it’s a great place to visit. If you are fan of Frank Lloyd Wright’s architecture, the visit to the remains of the Imperial Hotel make the journey more than worthwhile, while the rest of the place is just wonderful icing on the cake.